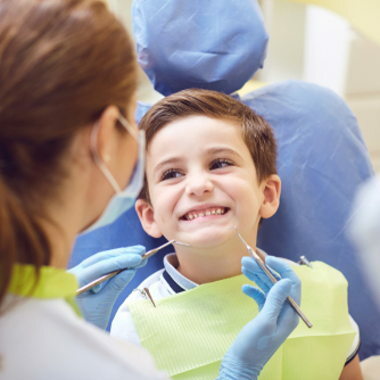 At Growing Smiles, we specialize in providing dental care to infants, children and teens, including those with special needs. We enjoy educating children and parents about proper dental health habits to ensure healthy and happy smiles for many years to come. Dr. Carisse Corns is a Board Certified Pediatric Dentist. 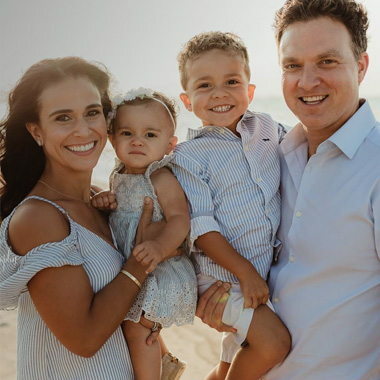 It is the goal of Dr. Corns to not only create healthy smiles, but to foster lasting relationships with every member of your family. Our practice is focused on providing personalized, quality care in a supportive, informative and nurturing manner at each and every visit. Our Patient Forms are easy to download and allow you to conveniently type in your information. 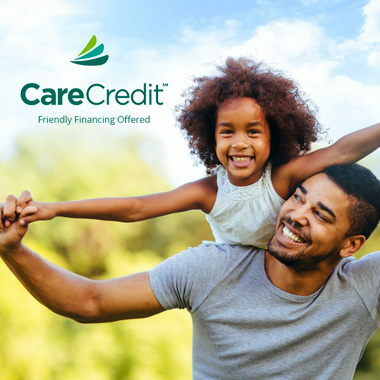 CareCredit offers special financing options at a reasonable rate through use of a CareCredit credit card. "Once again, beyond pleased with our visit. This was my youngest sons first visit so he was pretty frightened but everyone was SO patient and finally got him to cooperate. He's now asking when he goes back. The whole staff is excellent!!" "AMAZING Office! Staff go above and beyond for their patients and are incredibly friendly from office staff, to hygienists to the dentist herself." "This is the best dentist for kids! My so. Had some serious anxiety with a previous dentist and the doctor and staff have been incredible! My son is great when we go to the dentist now!" "This was my daughter’s first dentist appointment. She was a little nervous but everyone was patient with her and made her feel comfortable. Great first experience!" "Dr. Corns and her staff are ALWAYS friendly and take great care of all 3 of my kids. I can't imagine having a better pediatric dentist! Every single one of the dental hygienists at Growing Smiles are talented and great with kids and parents alike." "The ability to help kids feel comfortable is amazing. It’s a great office"
"Growing Smiles is absolutely amazing. My daughter was apprehensive at first but relaxed almost immediately after meeting everyone. She actually said it was fun! I couldn't be happier with our choice of dentist." "Hands down best pediatric dentist around. We travel almost 40 mins. Staff is great and Dr. Corns is amazing." "The whole staff was wonderful with my daughter and she had her cavity filled in less than 20 minutes." "Grace is great with my daughter and keeps her smiling the whole visit. Dr Corns is great with her as well! Since going here my daughter's anxiety for the dentist has diminished!"